Daily price from £895 (based on a 7 day hire). 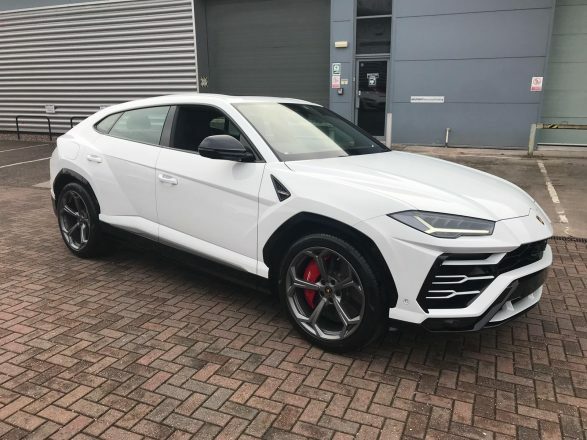 Although there are now many Sports Utility Vehicles (SUV’s) to choose from, Lamborghini claim this is the worlds first Super Sport’s Utility Vehicle (SSUV) and it certainly delivers in terms of performance, looks and engineering. Lamborghini did make an SUV in the 70’s called the LM002 which was a big square military type vehicle with a Countach V12 engine but this new Urus is a different animal altogether and it’s high performance and space for four people makes it an ideal modern day grand tourer. Despite the obvious higher stance of the Urus, it does share classic design similarities with other Lamborghini models – most notably the front air intake, angled led lights and chiseled lines, all unmistakably Lamborghini. Inside the Urus is again similar to other Lamborghini models with regards to the feeling that it’s more of a “cockpit” with lots of buttons, screens, infotainment etc and let’s not forget the various drive modes – selectable via the Tamburo – which include Strada (road), Sport, Corsa (track), Sabbia (sand), Terra (dirt), and Neve (snow). Because the Urus has a front engine there’s now 600 litres of boot space available which is a massive leap from say our first Gallardo a few years ago which had just about enough space in the boot (front bonnet) for a small handbag! On the subject of engine, the Urus differs from the Lamborghini supercars, which are powered by a naturally-aspirated V10 (Huracan) or V12 (Aventador). 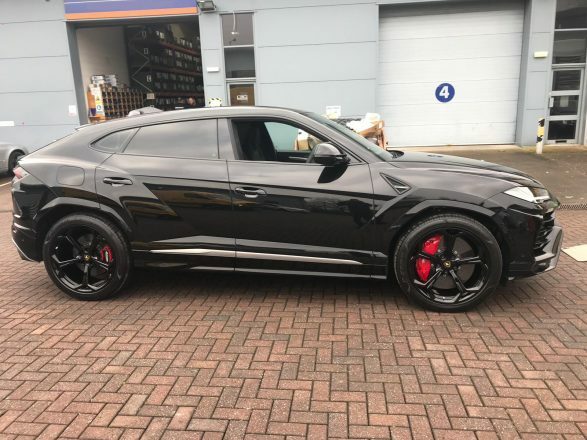 The Urus instead opts for a twin-turbo 4.0 V8 powering all four wheels via an 8-speed gearbox giving an impressive performance of only 3.6 seconds for the 0-62mph dash and it can then go on to reach 190mph if so desired – so it really is a proper Lamborghini! 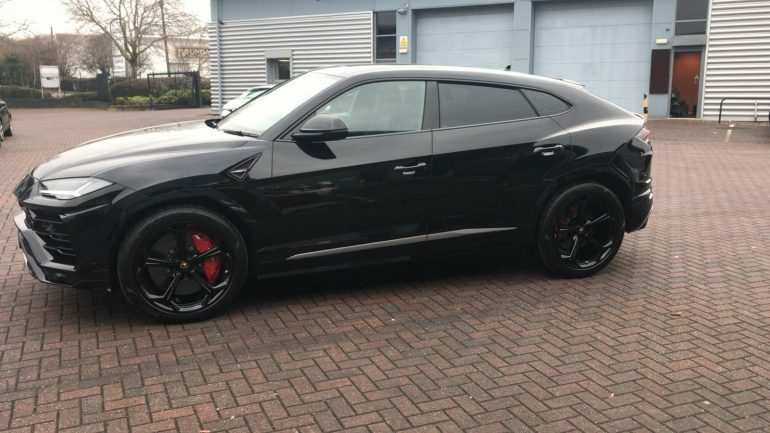 Hire a Lamborghini Urus from Northern Supercar Hire - call 01244 434 455 or email info@northernsupercarhire.com today for your tailor-made quotation. It was amazing and I don't know how I am going to better that surprise! It made his day and the service was fantastic. Thank you so much for the amazing experience, we would recommend it to anyone!" Yazmin and Anthony Suffolk, Skelmersdale.